Martin Spray is one of the lower-profile Chief Executives in the wildlife conservation business so it was very good to see his name in the New Year honours list. 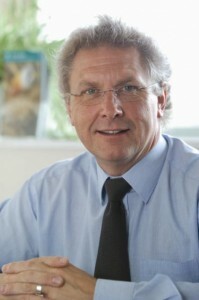 Having spent the first half of his career in the government sector Martin worked for WWF (1988-1991) and then became the first CEO of the Berkshire, Buckinghamshire and Oxfordshire Wildlife Trust (1991-2004). Towards the end of that time the Wildlife Trusts were going through a bit of turmoil and Martin stepped in to be the Acting CEO of the whole kit and caboodle for almost a year. Martin arrived at Slimbridge in 2004 and has led WWT ever since. I remember having a quick chat with Martin before he headed off to Slimbridge when I commented on the slightly strange nature of the organisation. WWT was founded, and for many years run, by Peter Scott, and it mirrored Scott’s own personal interests. If you were setting up an organisation today I doubt whether it would be focussing on ducks, geese and swans and funded to a large extent by the public visiting fewer than a dozen locations dotted around the UK. But Martin has always played the hand dealt to him with skill and in all his roles he has been a skilled and dependable manager. WWT is now emerging as a force in nature conservation again with its work on saving spoon-billed sandpipers and Madagascan pochard, its role in crane reintroduction and its campaign against the use of wildlife-poisoning lead ammunition. It’s certainly not just a bunch of duck-zoos – it is a forward-thinking wetland conservation organisation. Although you won’t hear much of it, this is a difficult time to be running an NGO. Financially, people feel insecure and it is the public who pay for most of wildlife conservation through their memberships and their purchases. I’m sure this has been a difficult year for many NGOs and I would guess that the poor weather, the Olympics and the Diamond Jubilee probably affected visitor numbers and spending. I renewed my membership of WWT very recently and was impressed by the efficient way that the staff dealt with my particular request. I am not a fan of the ‘honours system’ but I always scan the lists to see whether anyone I know and like, or anyone I know and dislike, has been recognised by the Establishment. I was very pleased to see Martin Spray’s name and to see him awarded a CBE. Martin is greatly liked, admired and respected in conservation circles – he is just the type of person who deserves a gong. When Martin heads back to work after the holiday break he should sit in his office, formerly the studio of the great Sir Peter Scott, and look out of the picture window at the Bewick’s swans on the Rushy Pool and take a few minutes to enjoy the feeling of satisfaction that his CBE should provide. And then, no doubt, he will mentally roll up his sleeves and throw himself back into the issues and worries associated with running a wildlife charity, and a slightly quirky one, in times of austerity. You pay the WWT a disservice when you describe the organisation as slightly quirky, strange and being only interested in ducks, geese and swans !! The clue is in the title Wildfowl AND WETLANDS trust. The name was changed from The Wildfowl Trust in order that they could broaden their conservation interests. "The Wildfowl & Wetlands Trust (WWT) is one of the world’s largest and most respected wetland conservation organisations working globally to safeguard and improve wetlands for wildlife and people"
In the north of England and southern Scotland I have ten times more respect for the WWT than the RSPB. The WWT have fantastic visitor centres at Caerlaverock and Martinmere with excellent viewing and interpretation facilities. . The RSPB visitor centres in Cumbria are pretty pathetic to say the least. If you go to Caerlaverock you are met with helpful smiling faces with bang up to date information boards. At the RSPB Campfield reserve you are met with an information board one month out of date and no warden on hand to provide information. The WWT in this area has had a great success with Svalbard barnacle numbers and whooper swan numbers are also increasing quite well. This compares very favourably to the RSPB failure to bring back farmland birds from the brink. WWT also have a very succesful education program and very often one sees groups of school children having a great time learning about wildlife and habitats, especially at WWT Caerlaverock . From my own experience I do not even know whether the RSPB run any local education projects. I am just hoping that one day we will get a WWT centre in Cumbria. David, Whoah. This is all very subjective you know. The RSPB is often criticised for spending too much on visitor facilities. They do work closely with WWT although it is a pity WWT withdrew from being a main player in WeBs recording. I am not sure how you can compare the WWT local successes in geese management with the Governments (not the RSPB's) UK failure to support farmland birds. The RSPB also has a very succesful education program and was one of the first to do so. WWT does of course have captive birds to excite youngsters, something the RSPB would not be permitted to do. Anyway that is not what I came on here to say. Mark, I agree with your view on honours (although a bit cheeky considering) and well said Ken Livingstone. Despite that also well done to Martin Spray.